Toy trains and model railways were the specialty of the Lionel Corporation, which was founded in 1900 and continues in business. Its products introduced generations of children to an awareness of the importance of trains. At its peak in the 1950s, Lionel sold $25 million worth of trains yearly. Joshua Lionel Cowen and Harry Grant were the founders of the company. Its first toy train, the Electric Express, was intended as a store window display, but an interested public wanted the toy trains. By 1918 Lionel was one of three major American manufacturers of trains. It was the shrewd marketing of Cohen that resulting in a linking of Christmas and toy trains. Cultural repercussions continued throughout the 20th century and were experienced in 2004 with the film, “Polar Express,” which again connected children, trains and Christmas. It remains a favorite seasonal film. 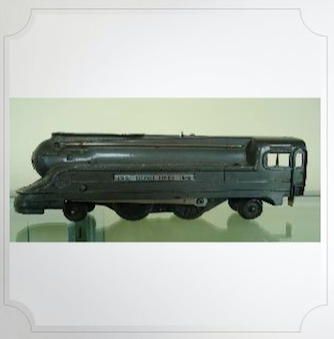 By the 1920s, Lionel was the market leader in toy trains, but its business suffered during the Depression. It was saved by the production of a Mickey and Minnie Mouse handcar, manufacturing 250,000 of them. Revenues declined after 1953 when profits peaked at over $32 million. The decline coincided with the decline in train travel. There were several changes in corporate ownership, but the company name continues as does the production of toy trains.